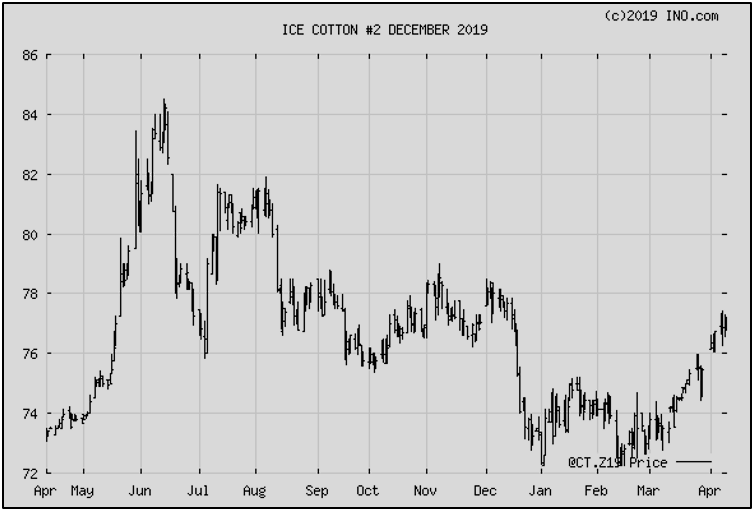 Since my previous comments last month, “Cotton Continues to Need Clarity”, not much has changed. There is still no word or advance in trade talks, and the March 30th Prospective Plantings report, in my opinion, threw more uncertainty on the market. The market has certainly made nice improvement recently, however, and we can be thankful for that. But to be sure, there is always uncertainty surrounding the March number, because so many things can change that ultimately determine what farmers will plant. 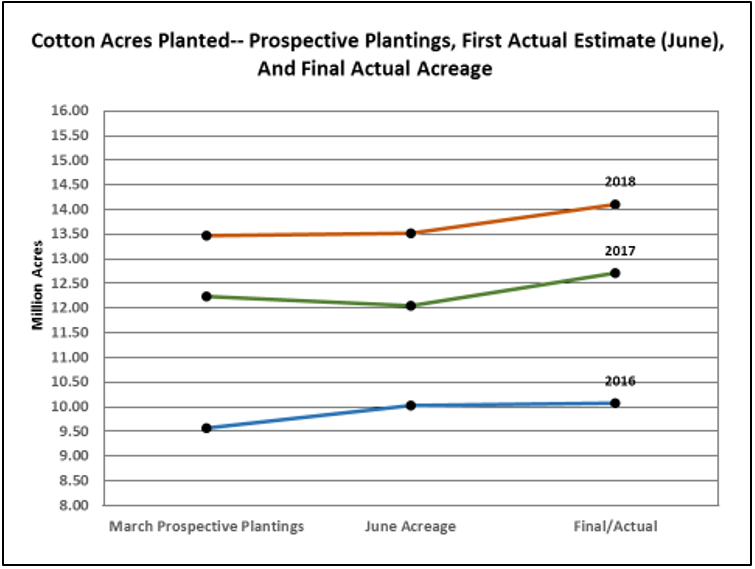 Last month’s Prospective Planting estimate was 13.78 million acres. 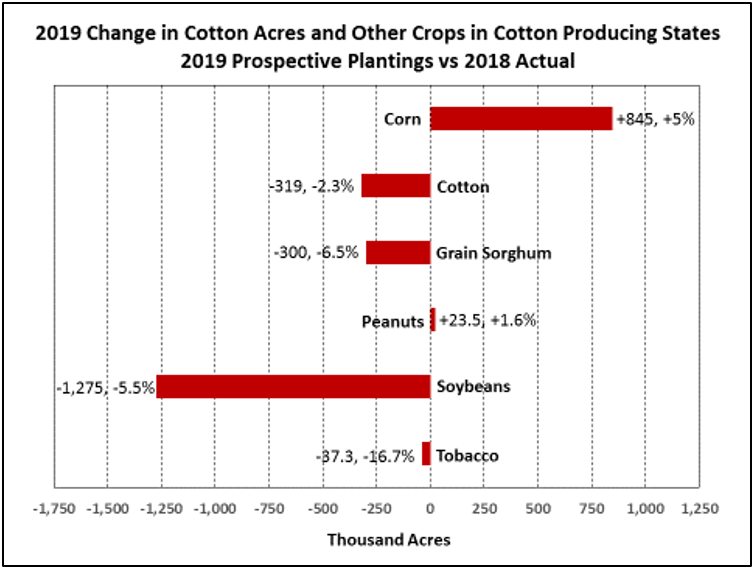 This compared to an earlier National Cotton Council estimate of 14.45 million acres, and most industry estimates of over 14 million—some quite a bit over 14, but less than 15. Looking overall, at just the 17 reported cotton-producing states, corn is expected to gain acres while cotton, grain sorghum, are expected to lose acres. 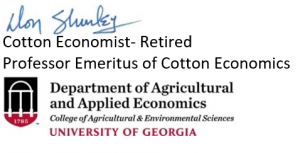 In the grand scheme of things over all cotton states, peanuts may not be significant—but they are in several states and can equate to as much as ½ of the cotton acres. As a side note, I find it surprising that peanuts are projected to be up. Contract prices certainly don’t justify that, and the industry and most observers are saying that acreage needs to decrease, not increase. Note that most of the improvement in prices came before the lower than expected March number. Exports and shipments have been good. This market is set up to either move higher, or have a downward correction. Where does a grower get started on pricing to reduce some of the downside risk while still leaving the upside open? To each his own, but the 78-cent neighborhood seems a reasonable start to me.